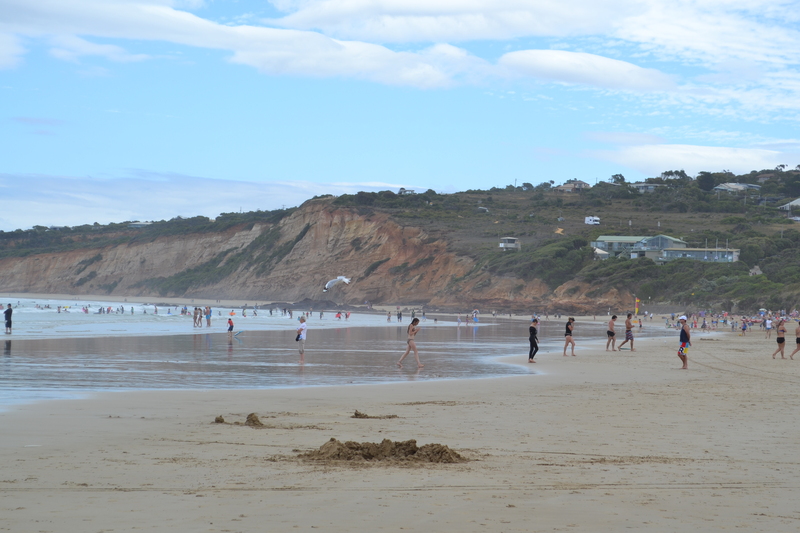 Anglesea (Australia) on a Summer’s day. Today, before one of our daughters returns to sea-less Switzerland, we went to the beach. It was 30 degrees C and we hired a boat to paddle for a while. Quite idyllic. However, the thing I hate about beaches is the sand – it gets into everything. For God however it is an object lesson. Grains of sand remind us that His promises are boundless. He promised Abraham a family – a spiritual family. That family is now spread throughout the whole world. From that family the Messiah came. Every Christian believer is beholden to that patriarch from 4000 years ago. So I might find sand annoying but God tells me through each scratchy grain in my shorts, that his promises are amazing. Yet I still hope the beaches by the Sea of Crystal are nice cool, manicured lawns.